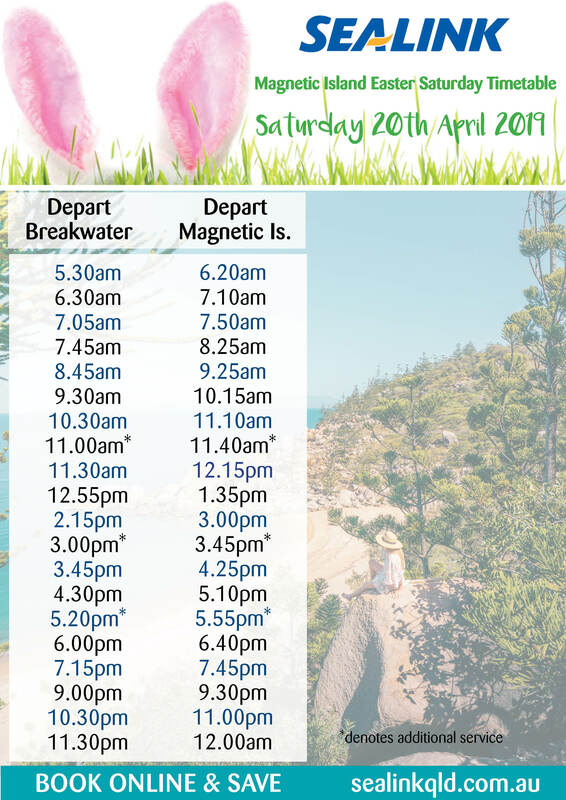 Your fastest link to Magnetic Island is Sealink Magnetic Island Ferry. Taking just 20 min and operating up to 18 services per day, we will have you at your destination in no time. 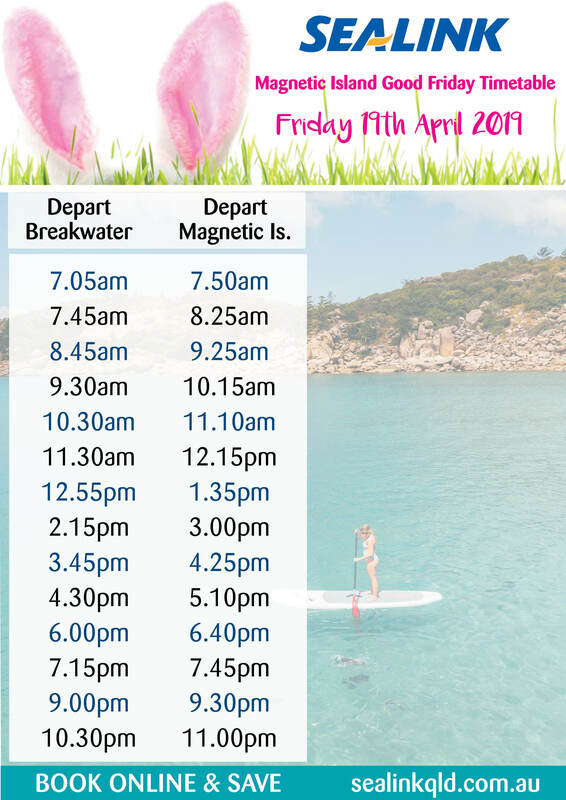 Check our great value ferry prices BOOK online today and SAVE! *These services not operating on Public Holidays. 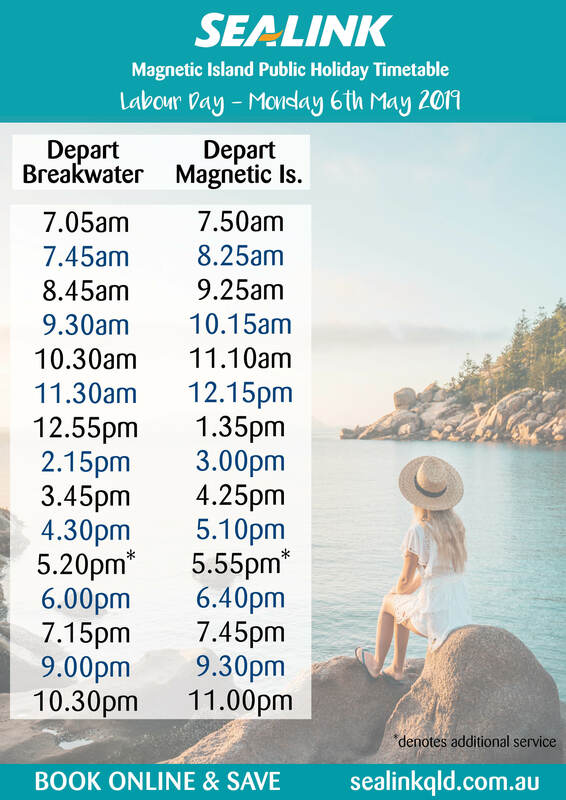 Please note we do not take bookings for our ferry departure times, arriving early to the terminal is recommended to board your desired ferry departure. 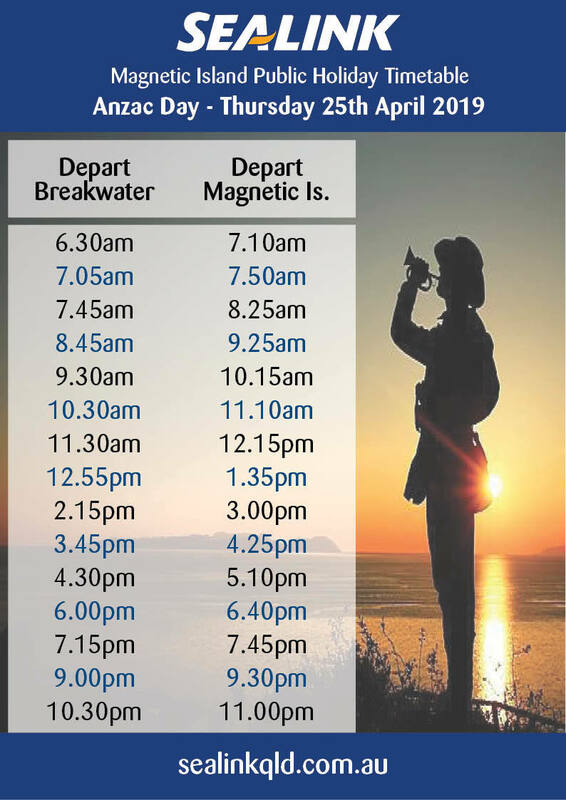 Please refer to timetables below for special events, public holidays, Christmas Day, Boxing Day & New Years Eve. 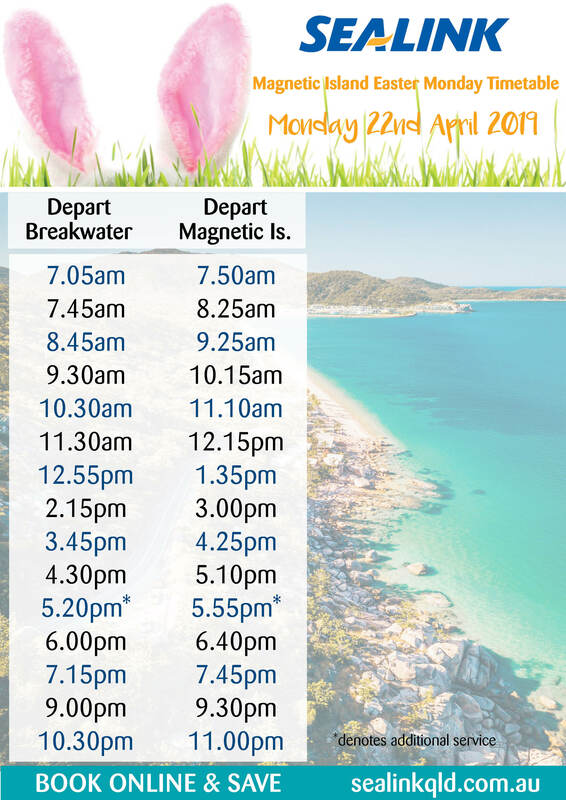 SeaLink will run an additional service from Townsville to Magnetic Island on Sunday 5th May to accommodate those travelling back from Groovin The Moo. 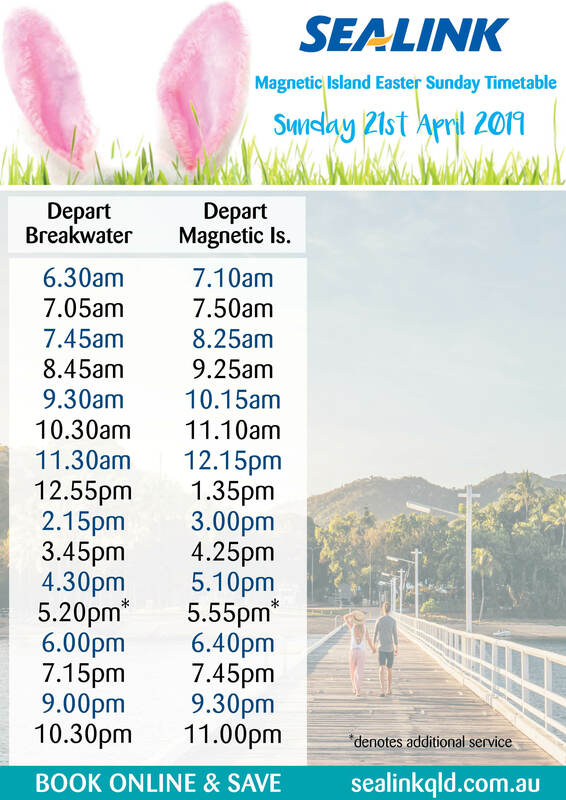 This service will depart Townsville at 11.30pm.